I have been practicing law since 1999. After graduating from Miami of Ohio University, I attended the Brandeis School of Law at the University of Louisville. I had been practicing law for a large law firm since 2001. In my time at the large law firm, I learned the value of a close relationship with clients. In order to protect a client, you need to work with them to head off problems in the future along with helping them resolve present issues. I had worked with numerous large corporations in my years of legal experience. I had argued and won cases before the Kentucky Supreme Court, but I wanted to grow my practice into other areas that allowed me to work with people on a more one-one-one basis. 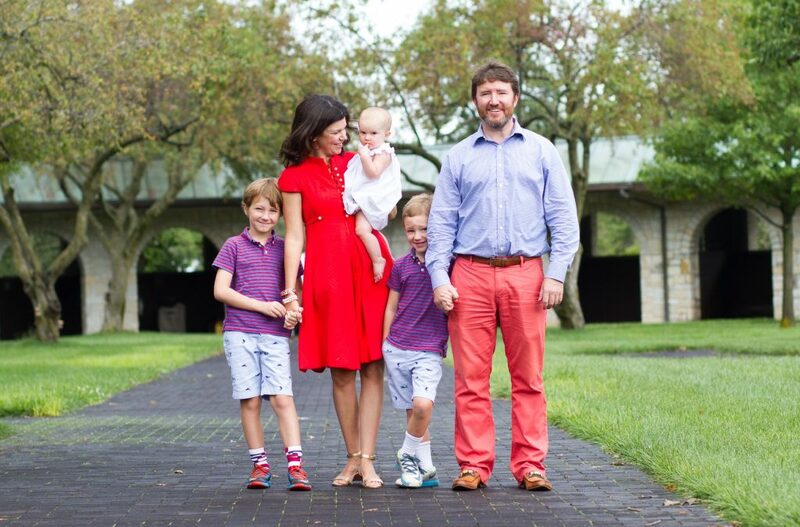 As a father of three children, namely, James Owen, John Dixon, and June Mills, I value family most of all. My wife, Joy Robyn Fenwick, is the owner of Omar + Elsie which is a clothing and shoe store in Lexington, KY. As a former Louisvillian who has been transplanted to Lexington, KY, I have grown to love the town and the people here. After years of corporate practice, I wanted to develop a practice that allowed me to help people outside of a constant antagonistic environment. I had learned estate planning, wills, and trust work in my years of practice as an offshoot of business succession planning. As the work kept growing and I grew older and “wiser”, I grew to love this field of work. I decided to focus on those cases over the last five years. As the work grew along with my desire to focus on it, the move from a large corporate law firm to a solo practice appeared to be the right move. The practice was started in 2013, and I opened my current office at 330 Romany Road, Ste. A, Lexington, KY 40502 in 2016. It is my pleasure to help people of all ages to protect against their families and themselves with proper planning. I enjoy working with young families as they grow along with older individuals in helping to protect assets for future generations. In my spare time, I help coach my two oldest sons baseball teams at Eastern Little League in Lexington, KY along with various other soccer and basketball teams over numerous years at the YMCA. I am also involved in the Mentor program at Breckinridge Elementary where I work with a first grader on a weekly basis. The outside activities certainly keep me grounded. If you or your family is in need of legal advice or assistance then please Jim Fenwick at Fenwick Law. A lifelong native of Lexington, I attended Transylvania University and the University of Kentucky College of Law. After graduation in 2008, I entered private practice and have since represented thousands of clients while handling matters in over half of the Commonwealth’s counties. I have represented individuals, family businesses and national corporations with thousands of employees (and everything in between), across a wide variety of practice areas including estate planning, probate, employment and litigation. My clients have come from a broad range of industries, including construction, healthcare, retail, transportation and education. The most important and rewarding part of the practice of law is helping our clients with their problems; we seek to provide security and a sense of well-being and satisfaction to all our clients. We are proud to offer personal service in a relaxed and professional environment. Outside the office, my time is spent with my young family and the occasional trip to the gym for a workout. I joined the firm as a partner in 2018 to continue the vision of helping individuals and families secure their futures, whatever their needs may be. -Admitted: Kentucky, 2008; United States District Court for the Eastern District of Kentucky, 2008; United States District Court for the Western District of Kentucky, 2010. At Fenwick Law, we can provide a wide variety of legal services but the main focus is on estate planning and business transactions. As part of estate planning, we will create specific documents including wills, living wills, healthcare directives, durable power of attorney, and trusts. Trusts can be a valuable tool in estate planning. We have specific knowledge and experience creating special needs trusts. We also utilize revocable family trusts to insure that funds going to children and other family members are overseen and managed appropriately by a Trustee. We also handle a large variety of business transactions including business succession planning. We have created buy-sell agreements from small to large businesses. There are simply many occasions when business planning is also part of estate planning. We can handle these types of questions in one location. While we are located in Lexington, Kentucky, we have clients in many portions of the Commonwealth of Kentucky. We handle a large number of clients in Louisville and in the Northern Kentucky (Cincinnati) area as well as the Lexington area. We also service clients in Eastern Kentucky and Western Kentucky. We are willing to use our expertise to help clients in all portions of the Commonwealth.